Hi there beauties, hope you're all having a wonderful weekend! While I'm busy galavanting around the city of New York to do research for an upcoming article with the boy and familia, I thought I'd continue with the Plates from the Around the World. I can't believe this is my 6th already! 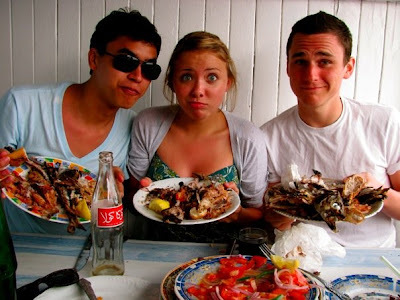 My good friend, Ryan, from my study abroad experience in France has offered some personalized insight into his Moroccan spring break trip and meals. Enjoy! 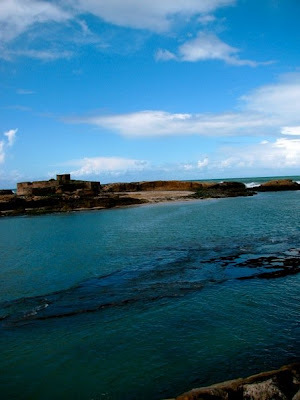 Traveling last semester led me to Morocco and the beautiful coastal town of Essaouira. The only real trouble we had there was with the pronunciation of the name. 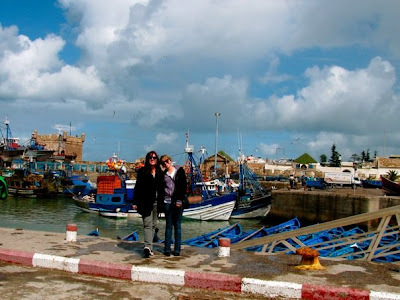 The town was secluded along the Atlantic Ocean and well known for its bright blue fishing boats. The city was full of street vendors. One road featured mostly leather, furniture and spice vendors, the other, food. Walking down that street, I was greeted with the fresh aroma of fresh fruit and vegetables, one man even carted a rather large mountain of strawberries. Venturing further down, heads of cows sat on countertops and the clucks of chicken made their way from the back alleys. Never before had I truly been more aware of where my food was coming from. This did not, however, deter us from buying fresh beef (Sorry Danielle!). Our hostel had a kitchen, and I, like most others, felt a little uneasy asking our host families to cook in their kitchens. So we took advantage of it. 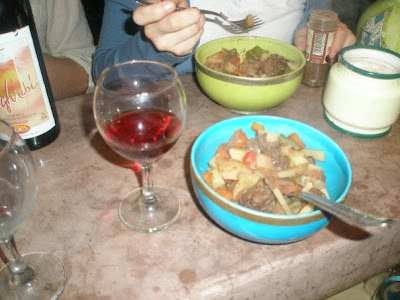 Our first meal was simple, beef strips with potatoes, carrots, green onions, and several fresh spices. But one of the best meals I've ever had the pleasure of eating was the next day. 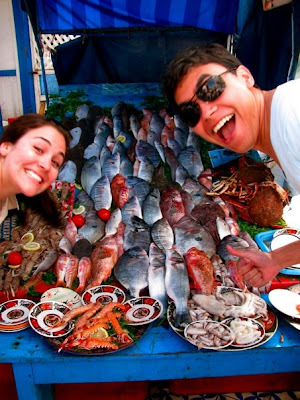 For lunch, we were determined to eat fish, since the city was known as a fishing town. We walked towards the coast and stumbled on a row of tents, each trying to convince us that theirs was the best. Fish was displayed outside the tent we chose. For only ten euros, we were given a drink, salad, two types of fish, calamari and octopus. And yes, we ate all of it. The cooks kept us entertained, cracking jokes and even instigated a fight outside with a knife-wielding man (didn't get a picture of that). Eating there in short-sleeves with the smell of the Atlantic Ocean in my nose, made that first week of March feel a little bit like summer. It would be amazing to feel like it were summer now, I'm freezing! I'll be back Monday with my weekend recap. Get excited, a kabocha squash is to be deliciously included. Take care!